Hieeee! Oh, I missed you all so much! How was your summer? I’m sorry this post is a little late…Lydia gave me last week off because we spent the last two weeks of summer sick with roseola. Have you had that one yet? Good times, good times…it’s several days of 103 fever followed by several more days of a decidedly unattractive (though not contagious) rash. The thing about a NON-contagious rash is that it doesn’t really matter that you can technically take your kid out to the supermarket or the playground…you don’t want to. Because even though your pediatrician and the pharmacist and your MIL and the dude at the Mobil station all say your kids are fine, they sure as hell *look* wicked contagious and you don’t want to be THAT mom. And my two kids perfectly staggered their contraction of this illness, so just when we had reached the end of quarantine with the older one and I thought we just might get to go see a friend or return the overdue library books…Bam! The younger one wakes up red hot and droopy. And then I got it, too! Weeeeee! How to potty train my son. How to keep my car clean. How to change the music in my car. Also like Lydia, my husband and I have a lot of conflicts about vehicular music. Unlike Cap'n Coupon, my husband doesn't care about four letter words, he cares purely about the quality of the music. My kids call his car the "Rock Car" and on the weekends there is a lot of child-fist-pumping to Foo Fighters and Radiohead on the way to the supermarket. My taste is a lot less discerning, which is how the conflicts occur. 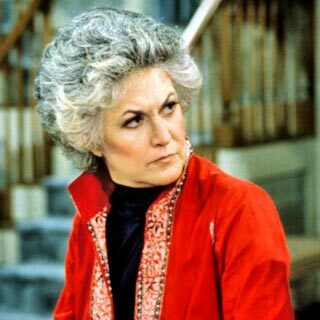 This summer when he got in my car at the start of a family road trip and Carly Rae Jepsen blasted on the speakers he frantically jabbed at the radio power button and turned to give me a full-on Maude face. And then, on cue, our son continued singing even though the radio was off..."And! All dee udder boys, dey try to chaaaase me!Here my number, call me baby." Wooooops. We did reach a happy compromise by August, thanks to our rad friends who introduced us to a Hall and Oates tribute album by The Bird and the Bee. (Lydia, do you have this?? I'm mailing you a copy!) We agreed this was a fun album of classics and when we play it in the car all four of us are happy and bopping along. I might have started playing it a lot during the week in my car, too, because tonight while I was cooking I was singing to myself, "You can rely on the old man's money / You can rely on the old man's money..." at which point my son marched through the kitchen yelling, "It's a B!TCH girl, and it gone too far!" I *really* have to remember to change the CD tomorrow morning. How to keep in touch with old friends. I’m really ashamed of this one. I have awesome friends from high school, college, old jobs and other cities and for some reason they seem to like me, too. But oh man, did my communication skills with people outside my house and job go in the shitter this summer. Does this ever happen to you guys? I just went through a stage where I couldn’t be bothered to return a phone call and writing a long email felt laborious. My work schedule was just busy enough that I felt like my free time just got swallowed up and I just kept getting more and more behind on my correspondence. I want all the people I love to be around the corner so they can come over for happy hour on my deck and just be here with me while our kids trash my yard and eat hot dogs and get filthy. I’m just going to rearrange the whole world so everyone is within a 45 minute drive of my house. I am lucky enough to say that I have a circle of local friends nearby who do come over and sit on my deck for a Friday night beer. It’s so awesome. But there is a certain amount of social stupidity that comes with such comfort. So when preschool orientation rolled around two weeks ago and I was suddenly surrounded by many new faces I felt a bit shy! And then I spotted the husband of my friend, Amy…you know, the one who had that whucktastic vomit photo last Easter. We have never met but I recognized him immediately from the famous photo so I decided I’d be a grown-up and go introduce myself. And what do I say to him? Do I approach him and calmly say, “Hello. I’m Louise. I’m a friend of your wife’s.” No, instead I go flying at him and yell, “HI! I’M LOUISE! I PUT YOUR FAMILY’S VOMIT PHOTO ON THE INTERNET!” at which point he gave me a sheepish grin while I launched into a five minute monologue about puke. He was super nice about it, but later I thought maaaaybe I shouldn’t have led with that. Ah, well. 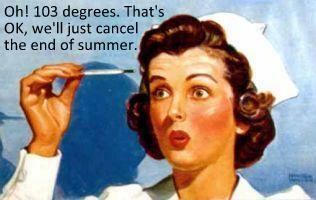 There's always next summer.